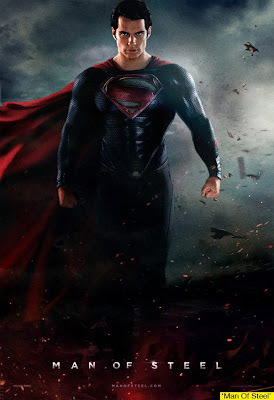 There is something different about Zack Snyder's Superman that will make you embrace or dislike your favourite superhero from the very first time we see him in his full glory. We aren't talking about the missing curl on the forehead, or the lack of his signature red underwear, or how scaly his suit looks. We are talking about the way Superman thinks and behaves in Man of Steel. Of course fan boys and those who follow Clark Kent's adventures beyond the studio franchises will have their own reasons to rejoice or sulk once they watch Snyder's interpretation. We begin at Krypton where rouge General Zod (Shannon) is staging a coup to save his race and destroy everything that rebels against his diktat. Jor El (Crowe) disagrees with Zod and when the latter threatens his life, he sends his newly born son Kal El in a capsule to another distant planet - Earth which lands up in Smallville, Kansas a small town which becomes 'home' to Superman. Zod and his cronies who have been condemned to imprisonment in a ice harvested time machine plan to take over Earth and make it their 'Krypton'. Along the way our MOS also meets his love interest Lois Lane (Adams) and we get to watch him do what he does best - save lives and be one the suavest superheros in the comic book legacy. Henry Cavill as Superman is an intelligent choice. If we choose to ignore his good looks for a while (which is very hard to do) and focus on his acting, then the real reason for his casting comes to surface. It's all in his eyes. Be his walk, his sense of vulnerability or his understanding that mortality might not be a blessing, Cavill does an amazing job of not being a stick figure but an actual person you can relate to. Amy Adams as Lois might stick out as a sore thumb to some, but her scenes in the second half especially with her newspaper editor (Fishburne) make up for any little doubt. Both Costner and Crowe as Kent's guardian and father impress with their technique nd overshadow Cavill in some scenes. Technically Synder's vision is flawless which is expected given his sense of liking for grandeur and color. The cinematography lifts each frame above the ordinary. Be it scenes in the mothership or Cavill walking across a field in Kansas, everything looks like it meant to be. Oddly enough the hiccups come in the SFX and action category. There are moments when "too much" is happening "too soon". Snyder in an attempt to make this the biggest Superman film ever uses long often repetitive action scenes where our hero is flying through buildings breaking concrete and glass punching every bad guy to the ground. Not that we expect anything different, but we wish there was a different backdrop to the action scenes than the bustling city. Also Kent and Lane's romance seems rushed and there is a sort of disconnect between the two that is hard to analyse. Even though their final kiss seems organic. the build up to it doesn't. Watch it closely and you would be in for a few treats if you know the supporting characters well. MOS won't dissapoint, it gives you the right bang for your buck, but we wish this Superman soared a bit higher.